Use the email applications you already know, and work faster right inside your inbox. Sync everything from contacts and events to tasks and more with our SRM email tracking software. Use email to sync important emails. Every business relies on email to connect with stakeholders. Our Outlook SRM software integration gives you a complete view of your stakeholders. Sync emails instantly to StakeWare, keeping your entire team up to date. Identify new issues on the fly. Email Connect works the way you do. 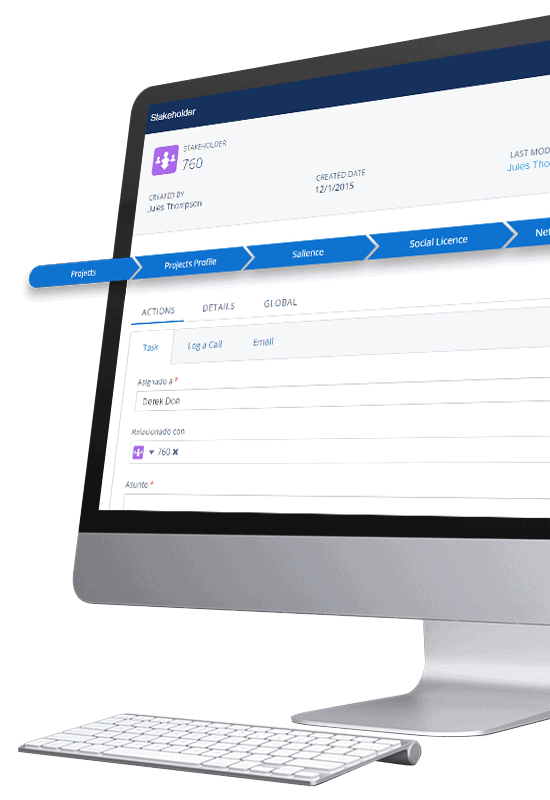 Bring any business process right inside of your favorite email application, like creating new commitments or stakeholder requests for information, with just a click. Your calendar drives your day. Don’t waste time on data entry. StakeWare for Exchange keeps your Outlook, mobile device, and StakeWare calendars in sync seamlessly. 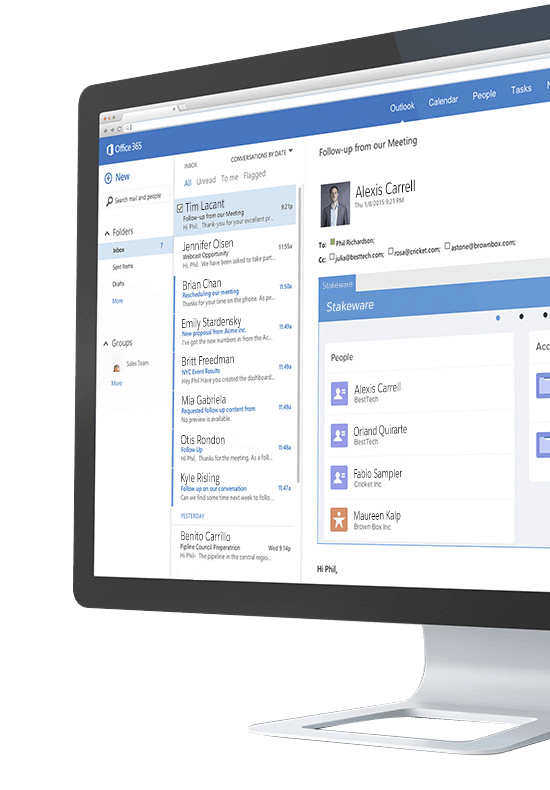 Add rich context to every meeting invite and contact inside Outlook with no effort required. StakeWare Email Composer allows you to quickly email your critical contacts, from anywhere. Email templates are easily accessable. Users can create their own templates on the fly. Track the full email trail in your engagement timeline.